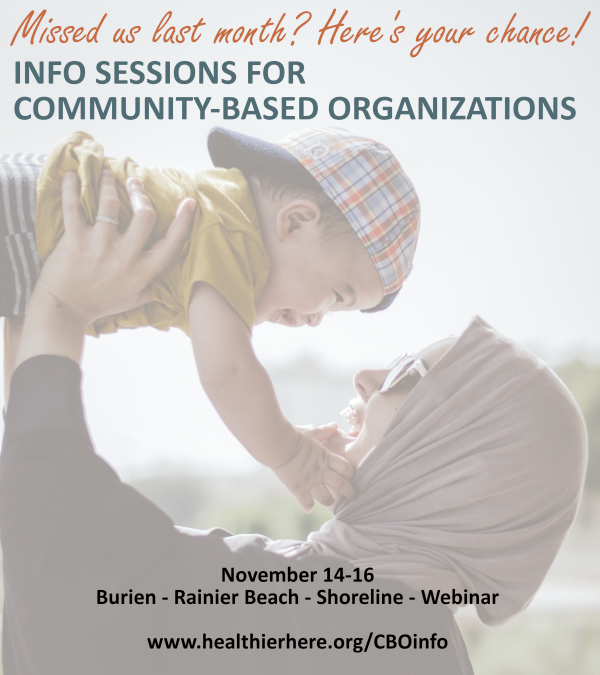 Final CBO Info Sessions November 14-16. Register Today! Do you know a community-based organization interested in improving health and health equity in King County? We’ve added 4 additional opportunities for community-based and social services organizations to learn about our work and how they can get involved. Participation in an information session is required as a first step toward Community Partnership with HealthierHere, and this is the last series of sessions offered during the initial planning and engagement phase of our work. The information will be a repeat of what was shared during our September and October sessions.